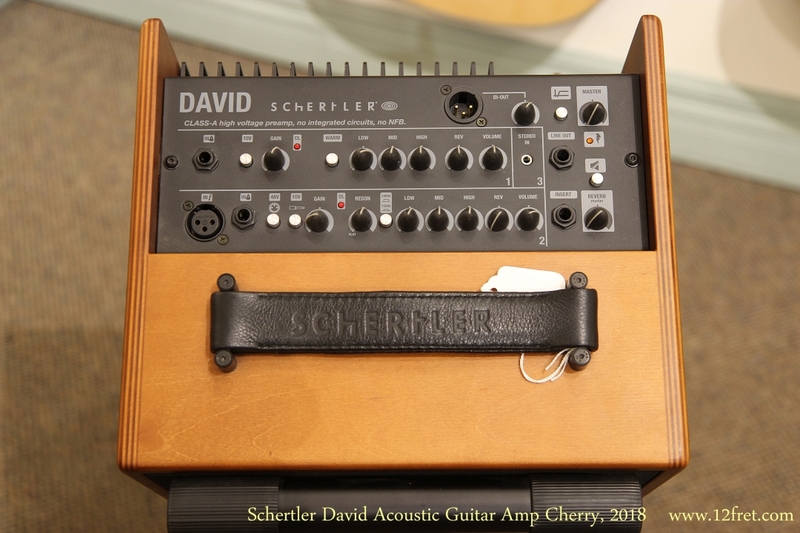 The Schertler David acoustic guitar amp is a compact, versatile unit designed for use in small venues, where a guitar, voice and perhaps a backing track are required. 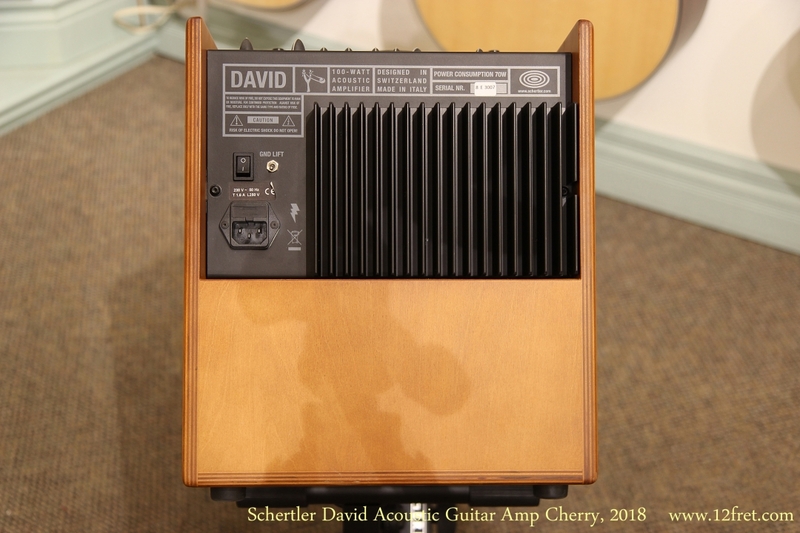 Deliviering 100 watts through a 1 inch dome tweeter and six inch speaker, the David amp provides inputs for guitar, microphone, and a stereo audio source. All this in a compact, attractive package under 23 pounds! Here we’re looking at a Schertler David amp built during 2018, in Cherry wood cabinet. 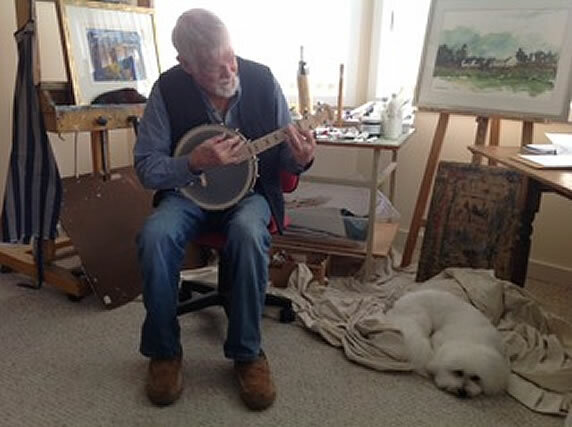 It is in excellent condition with virtually no wear – just a bit of dust. It is complete with tip-back stand and padded case. 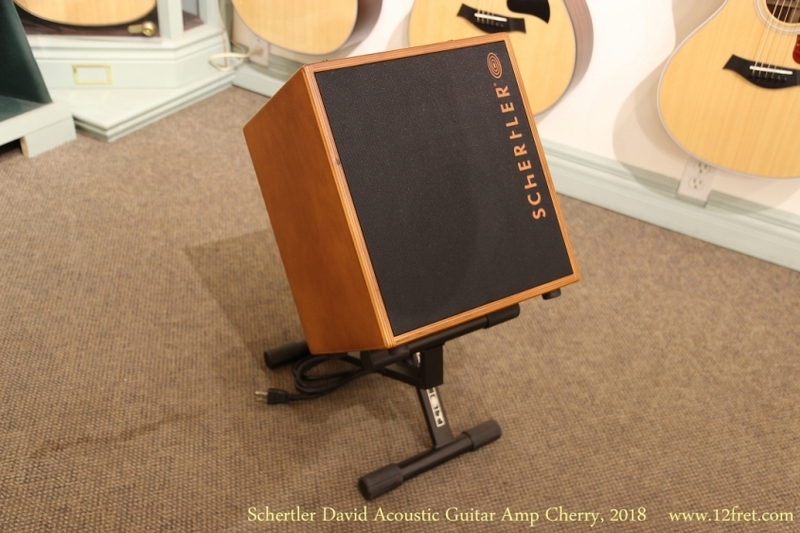 “DAVID becomes the second member of Schertler’s “next generation” acoustic amplifier series. This newly-designed 3-channel amp, combines a wealth of new features and updated technology with a new “look”. 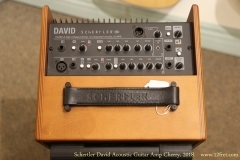 DAVID’s inputs will accommodate a microphone, an instrument and a stereo device such as a computer, MP3 player or CD. 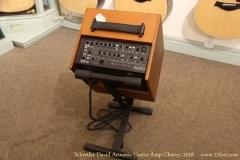 The instrument input and the Jack input on the microphone channel both feature a Bootstrap technology that enables the input to automatically adapt to any impedance. 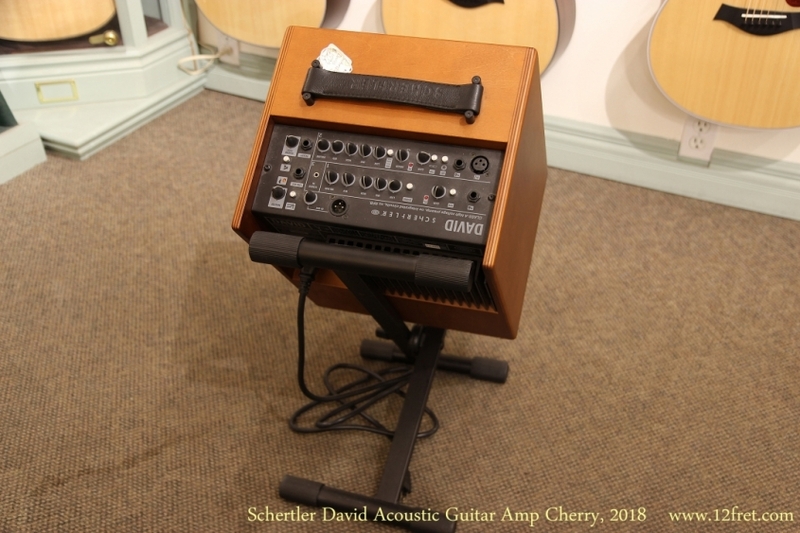 Some of the new DAVID amplifier’s new features include: three channels, a range of controls including gain, switchable resonance (notch) filter, adjustable DI Out in the master section, mute switch and overload LED for each channel. A new digital reverb replaces the spring one found in the original David models. 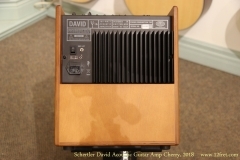 DAVID is also equipped with a high voltage CLASS-A preamp that has no integrated circuits and No Negative Feedback (NFB).